Are you experiencing pain or pins/needles or even numbness through your lower back, legs or feet? You may have a common neural condition called Sciatica. The term ‘sciatica’ refers to pain that is felt along the nerve roots of the sciatic nerve. The sciatic nerve is the longest single nerve in the human body, starting in the lower back and running through the buttocks and down the lower limbs. Sciatic pain may be felt in any of the areas. Sciatic pain has a variety of potential causes, including damage from a herniated disc, joint inflammation, spinal arthritis, or a locked facet joint. It can be the result of gradual wear and tear on the spine or an injury that occurs suddenly. Regardless of its cause, it is important that sufferers seek correct diagnosis and treatment. 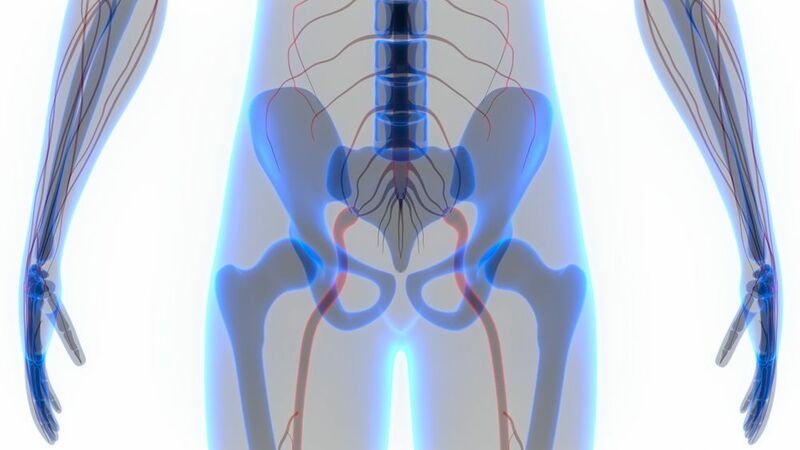 If left untreated, sciatic symptoms can become worse, and lead to the need for surgical intervention or chronic pain. The most common symptom of sciatic is pain in the lower back, buttocks, hips, legs, calves, or feet. The pain is usually worse when sitting and sufferers may feel a sharp pain when they stand up. A Myotherapist will treat sciatic pain by first assessing the cause of the neurological symptoms, to ensure you are getting the right treatment for your condition. We first concentrate on pain relief, while looking at restoring the function and flexibility/stability of the affected areas. We aim to create space for the nerve root or peripheral nerve by treating the surrounding musculature and joint dysfunctions, while assessing posture and biomechanics. The treatment is supplemented with a comprehensive rehabilitation program, including targeted fitness activities aimed at restoring full function of the area. Finally, your Myotherapist will look with you at ways to prevent a relapse, including ergonomic or technique assessments, ongoing maintenance exercises or a long term treatment plan. To learn more about how myotherapy and massage therapy can improve your sciatic condition, speak to a Brisbane massage therapist at Mobilise Remedial Massage by 0473 090 442 for our Toowong practice, or emailing us through our Contact Page. Or book online today! Thank you for posting this great article.